Friday 5th April - La Belle Angele, Edinburgh Advance tickets £18 stbf. Doors 7pm. Standing only. Over 18 only. The Spirit & Sound of Steely Dan. Less tribute and more homage, Nearly Dan is saviour to the growing legions of Dan fans, desperate to hea rthe meticulously crafted grooves and allusive lyrical style of Donald Fagen & Walter Becker. Nearly Dan's approach is faithful, though not reverential, and relaxed but as tight as their namesakes. They bring their own unique spirit and spontaneous humour to every concert. It's been over 40 years since the release of the first Steely Dan album "Can't buy a Thrill", featuring the hits "Do it Again" and "Reelin' in the years." 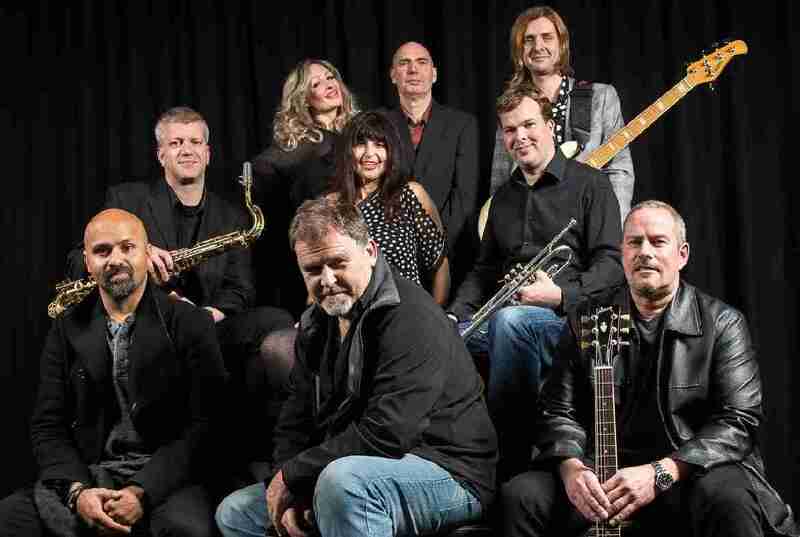 Coming up to the bands 20th Anniversary, the 9 piece Nearly Dan promise all the Steely Dan favourites in a two hour­ plus show, featuring tracks from the groove of "Countdown to Ecstasy" to the super cool of celebrated albums "The Royal Scam". "Aja", "Gaucho" plus Donald Fagen's classic solo masterpiece "The Nightfly" also feature.